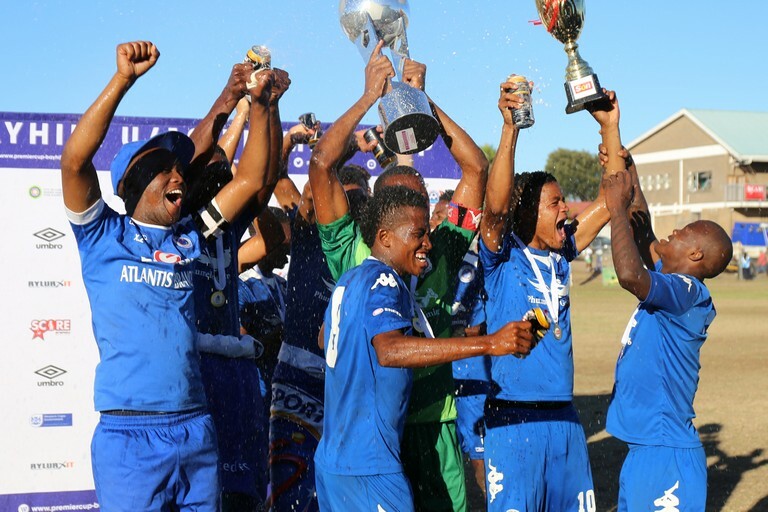 With the successful draw that took place at the Cape Town Civic Centre recently, the 30th annual Bayhill Cup Tournament is ready for kickoff over the Easter Weekend at Erica Park in Belhar. The official draw confirmed the game schedule for the premier under-19 soccer event on the South African Football Association calendar. The tournament will be played from April 17 to 22. Twenty-three of the 32 teams are based in Cape Town, eight are from the rest of the country and one foreign team will be participating. The City of Cape Town has been involved in the tournament for the past 15 years. The City’s Recreation and Parks Department is a key sponsor of the tournament, and also assists with logistical arrangements. City sponsorship amounts to R350000 and includes services such as the venue, transport for teams, ablution and refuse facilities, electricity, perimeter fencing and audio-visual equipment. The City’s Traffic Services will also assist with traffic flow during the tournament. “Sport contributes towards cohesion in communities and soccer is an excellent example of competitive sportsmanship. Some years ago, the City also played host to a successful Soccer World Cup. It was during this event that I experienced how sport can bring people from different backgrounds and cultures together. Soccer is a game unlike any other sporting code that allows young people to participate and build character, self-discipline and respect,” said Executive Mayor Dan Plato. The Recreation and Parks Department has been working closely with the event organiser to ensure that the facilities and venue will be ready for the tournament. In this regard, the City has worked tirelessly to ensure quality playing fields. Taking into consideration the drought that the city experienced last year and the mitigation measures that have been put in place, there are visible improvements in the quality of the venue. With the current Level 3 water restrictions, more alternative irrigation methods can be utilised and the fields were fertilised twice since January this year. Mowing is done on a weekly basis. “Erica Park is a community asset of which we can all be proud. To host a tournament of this calibre for young people where they can hone their skills is a motivation to all of us. Not only do we create opportunities for young people to play soccer competitively, but it also shows the good working relationship between the City and the event organiser to ensure a successful tournament. The City has a proven track record that shows that we are willing and able to host successful events. This tournament will be no different,” said Mayoral Committee Member for Community Services and Health, Councillor Zahid Badroodien. * The opening ceremony of the Bayhill Premier Cup will take place on Wednesday, April 17, at 8pm at Erica Park, with the final championship game scheduled to take place at 3pm on Monday, April 22.